The $25 million-plus Nebraska City Southeast Interchange project — a Nebraska Department of Transportation initiative — will be completed by Constructors Inc. by the end of this year. 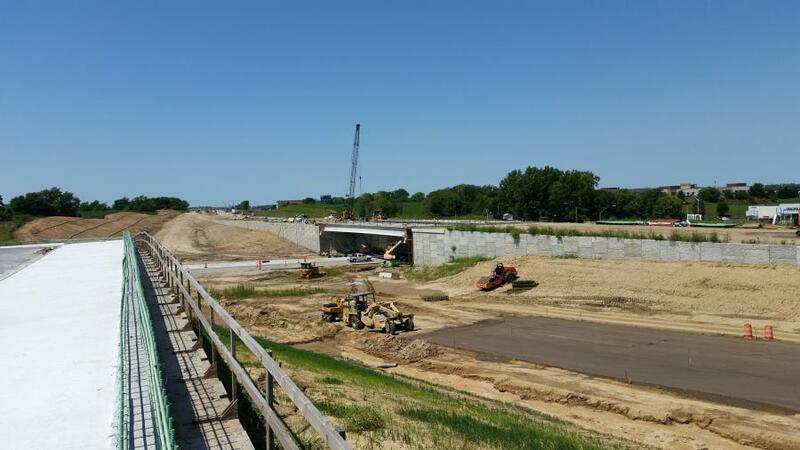 The $25 million plus Nebraska City Southeast Interchange project — a Nebraska Department of Transportation initiative, will be completed by Constructors Inc. by the end of this year. 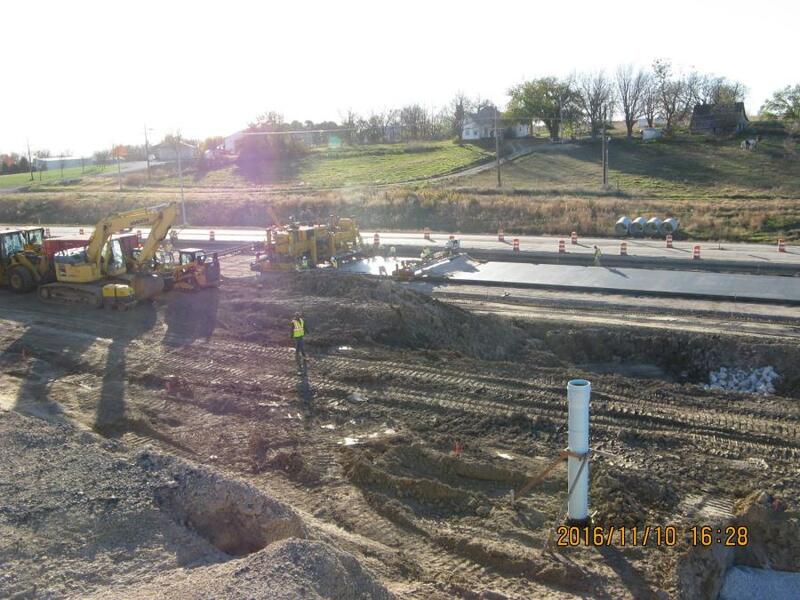 The work, based on improving traffic flow and safety on busy sections of U.S.-75 and Nebraska Highway 2 (N-2), started in March in 2016. Engineers and crews are overcoming serious soil stabilization and groundwater obstacles. The purpose of this project is to improve the U.S.-75 and N-2 transportation asset by improving the roadway's operational efficiency and decreasing the frequency and severity of collisions by eliminating the at-grade signalized intersection on the N-2 high-speed expressway, according to the project website. Mike Habegger, Nebraska Department of Transportation's project manager, noted that the old interchange was controlled by stop lights at the intersection for both section of highway. 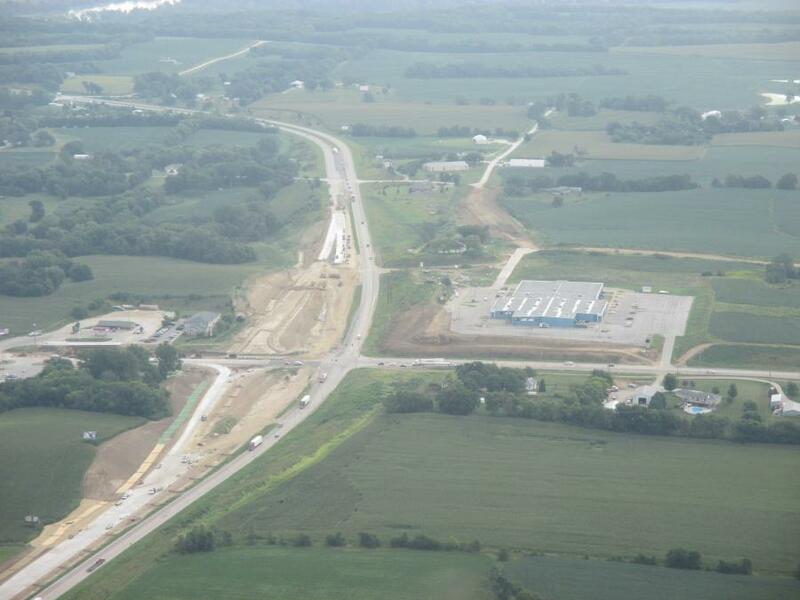 The work site is located at the south edge of Nebraska City, with U.S.-75 coming up from the south. Both highways merge for a section known as the Nebraska City Bypass, which covers the southwest portion of the city. When one reaches the west side of the city, U.S.-75 goes north up to Omaha and continues on to South Dakota, and N-2 heads west towards Lincoln. Average daily traffic on N-2 in 2015 was 10,000 vehicles and when the work is completed, will increase to 15,000. U.S.-75 carries 7,500 vehicles daily, which will increase to 10,000. Nebraska Department of Transportation estimates that the improvements will be able to meet traffic needs for the next 20 years. “We're hoping to have the bulk of the project completed by the end of the 2017 construction season if the weather holds out,” said Habegger. In addition to the work elevating N-2 over U.S.-75, the project also is covering sanitary sewer, lighting, water and storm sewer infrastructure and the construction of new county roads. The new infrastructure was designed by Olsson Associates. Trucks make up about 30 percent of the traffic, and to extend the lifespan of the new roads, N-2 will have an 11-in. doweled paving to help carry the load. The subgrade is being treated with a lime process, and for the most part, crushed concrete is being used for the foundation. Additional features include the use of cover crop seed, silt fence, rock berms, and slash mulch to address environmental issues. A nearby power plant has between 150 and 200 cars coming in for work during the afternoon rush hour, all at the same time, which adds further complications. A major construction challenge has been the groundwater issue. “The original intersection was an at-grade crossing at the bottom of a hill with soft-grade and groundwater,” said Habegger. “We're using geogrid fabric and crushed rock to stabilize the foundations. We have run into a lot of stabilization issues on the ramps for coming up and off of U.S.-75. Basically, Constructors is excavating the unsuitable material. In some places we just have to go down one foot to get it stabilized and in others, two to three feet — we replace it with rock and geogrid fabric and that usually gets the job done. The groundwater problem has made this project very much an engineering issue, especially as this is in an over-excavation area. “We built some mechanically stabilized earth walls (MSE),” said Habegger. “Both of our bridge fills for the abutments — about 24 feet tall on N-2, are using six-inch MSE panels that have straps, which hold them in place. They are like a retaining wall. Because this area has unsuitable materials and groundwater, we excavated an additional 10 ft. below the original grade and replaced it with a soil that was recommended by the engineers and put in mechanical stabilizers. Eric Anderson, Constructors Inc. project manager, is assisted by Brent Davis, the onsite superintendent. Two of the access ramps on N-2 have been completed and are fully paved, with traffic diverted to them. N-2 is a four-lane east-west road —two lanes in each direction. Save for a few weeks last winter due to the cold and snow, the work has essentially proceeded year-round. On an average day there are 30-plus Constructors and subcontractor employees on site. The subcontractors include Garcia-Chicoine Enterprises for guard rail, Green Thumb Inc. for Seeding, Hofeling Enterprises for landscaping, IES Holdings for signs and lighting, JEO Consulting for staking, Linhart Construction for MSE walls, ME Collins Contracting for culverts, Pink Grading for embankment, Trafcon Inc. for traffic control, United Contractors for Bridges, Iron Works for steel tying, Crain Inc. for bridge deck grooving, Valley Corp. for foundation course, Sadler Electric for bridge electrical and Mid-America Drilling for overhead sign foundations. The general contractor expects to remove 33,500 tons of concrete and 2,000 tons of asphalt. The new materials include 45,500 tons of concrete, 8,500 tons of asphalt, 225 tons of steel, and 50,000 cu. yds. of earth and rock. “Constructors has recycled almost all of the concrete and asphalt removed from this project that will be used in materials for future projects,” said Habegger. 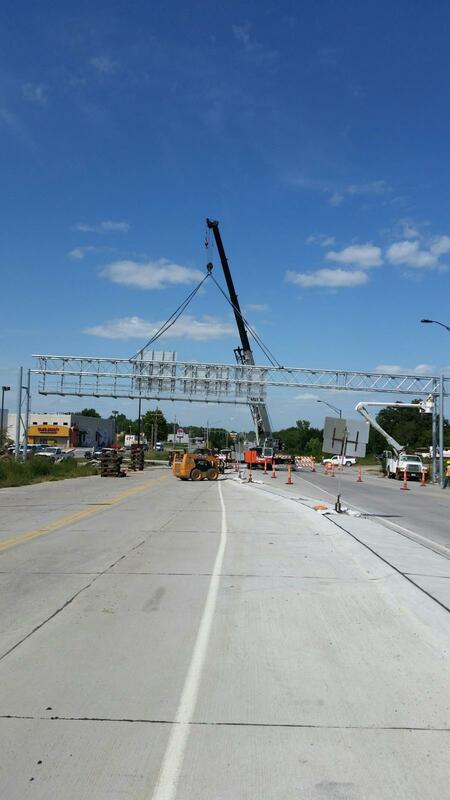 Constructors has completed many projects for the Nebraska Department of Transportation. Habegger has five DOT staff helping him out, including Chris Hasenbank, a graduate engineer who is serving as an engineer-in-training; Jeff Fossenbarger, lead inspector; and Jacob Volker, Tim McCoy and Jason Kosmos. “We've also had help from other personnel in our office and the District office in Lincoln,” said Habegger. The project also has Nebraska Department of Transportation and Otoe County working together as two country roads leading to the intersections have been converted into right-turn only thoroughfares. On this project, Constructors Inc. and their subcontractors are using a variety of equipment, which includes: Caterpillar and Komatsu excavators, American cranes, Caterpillar soil mixers, Mack dump trucks, self propelled rollers, Gomaco concrete pavers and Bobcat and John Deere skidsteer loaders.